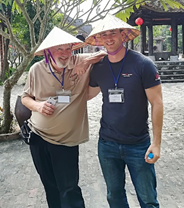 Instructor Training Successes Around the World! 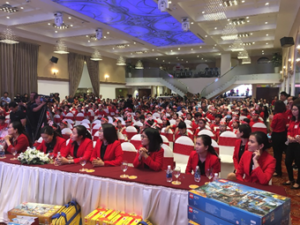 On November 1, Larry and Chris Symmes, Director of APAC Operations, arrived in Vietnam where they were greeted with a welcome congregation of Center Managers. 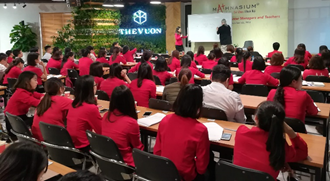 The next four days consisted of two separate Instructor Trainings and a guest-star role for Larry in the last stage of two individual Mathnasium Championships. See below for highlights of their math-filled trip! 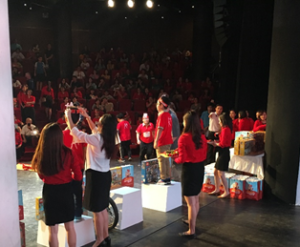 Over 360 attendees received instruction from Larry, with translation help from the Academic Director for Vietnam. Larry and Chris were able to witness the final round of 250+ students competing in the Mathnasium Championships. They had a chance to visit with both students and parents in attendance. 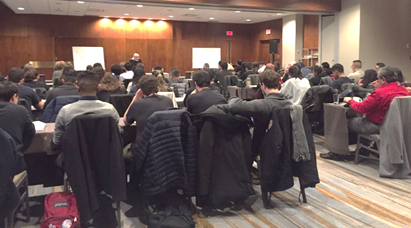 Larry and the Training Team were thrilled to see a high turnout in their November 17 and 18 Instructor Training in Toronto, Canada. This was one of their biggest Instructor Trainings yet with over 120 Instructors, Center Directors, and owners in-person and 90 online! 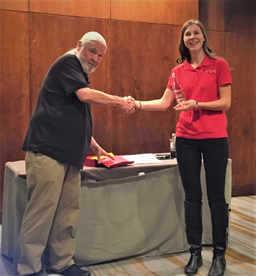 Larry also had the pleasure of presenting the “Instructor of the Year” Regional Winner Award to Alexandra Markes of the Mathnasium of Burlington. Congratulations, Alexandra! Larry and the Training Team really appreciated those who attended the In-Person Instructor Training amid a snow storm warning on January 19. Thankfully, they missed the storm but gained some valuable math knowledge! To our incredible Instructors, Center Directors, and owners around the world, thank you all for being a part of these training sessions! No user comments for " Instructor Training Successes Around the World! "